Danny Choo visits the Yashio High School Kyudo Dojo! | The Kyudo Project Blog! 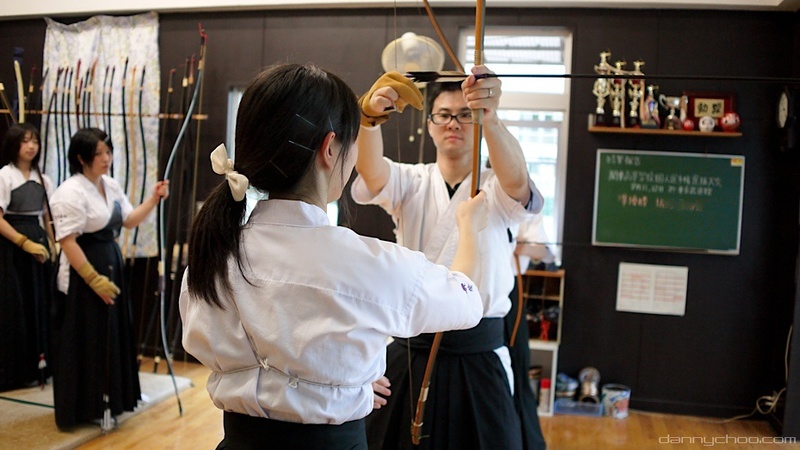 Danny Choo visits the Yashio High School Kyudo Dojo! Danny Choo is a film and tv producer and presenter. One of his projects is called Culture Japan where he showcases Japanese pop culture which seems to be whatever Japanese kids are doing today. As part of Culture Japan he visited a high school kyudo dojo and did an excellent job of capturing the feeling and mood. And he must have used an expensive camera because the pictures are of very high quality. Enjoy Danny's visit to Yashio High School Kyudo Dojo!